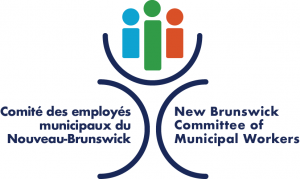 Today, the New Brunswick Government announced its proposed regulations under the Employment Standards Act to provide workplace leave provisions for individuals who experience domestic, intimate partner or sexual violence. “This announcement is great news, not just for CUPE members but for all workers in the province. CUPE Locals and our members have been pushing for workplace leave for survivors of gender-based violence for many years. I hope the proposed regulations will be upheld and come in force shortly after the consultation period,” said Daniel Légère, President of CUPE NB. The GNB is proposing a leave of 10 days, of which the first five would be paid, that could be used intermittently or continuously, and up to 16 weeks that could be used in one continuous period. Though these provisions fall slightly short of CUPE’s recommendation, we applaud the province for recognizing the need for paid leave and flexibility around usage of days. “We applaud the government for taking this significant first step with regards to paid leave. It’s a bold progressive move by government that has been a long time coming ‘’said Légère.